(Exclusive) Tyrese & Lee Daniels Discuss Controversial Transgender Episode of STAR: 'It's Going To Be Uncomfortable' - Ooooooo La La! 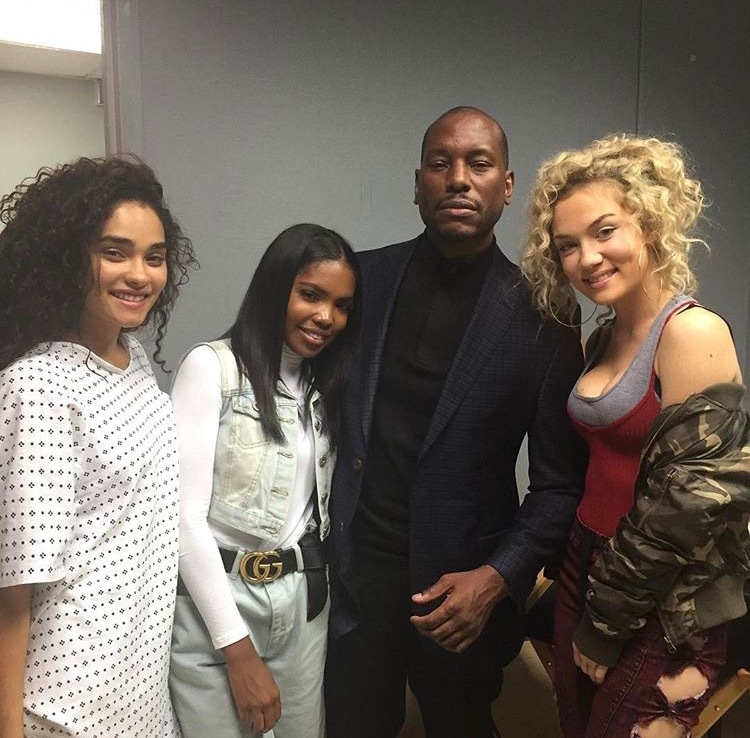 Tyrese says the next episode of STAR will make some viewers "uncomfortable." Tonight's episode of STAR will blow you away! I had the pleasure of chatting with Tyrese and Lee Daniels on Monday (Feb. 13) via phone during a press conference. The two discussed the upcoming powerful episode of STAR as well as Tyrese's return to TV, transgender issues in today's society, taking risks, and not being afraid to live in your truth. On the show, Tyrese plays Pastor Bobby Harris who has three kids, and he went through a nasty divorce with his ex-wife. 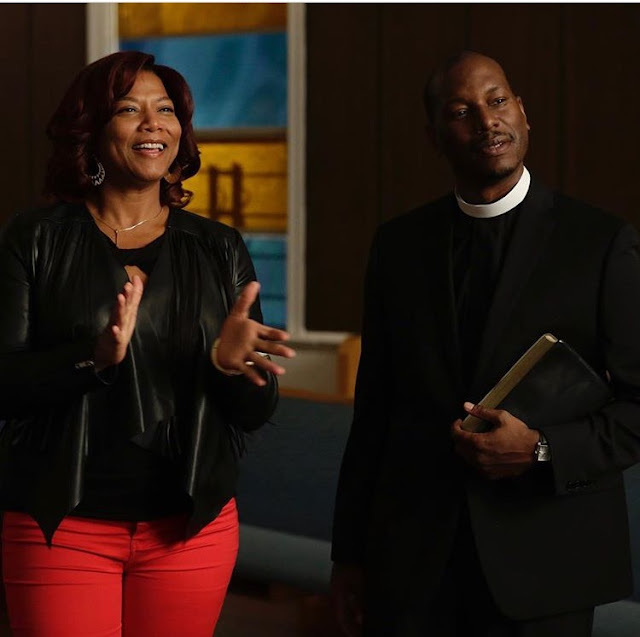 He winds up mentoring Carlotta (Queen Latifah), a woman who is a part of his congregation. The two end up developing feelings for each other and as time goes by, Pastor Harris opens up, but Carlotta is keeping some things hidden. She hasn't been completely open about her daughter, Cotton Brown (Amiyah Scott King), who is really her transgender son. Carlotta is having a hard time accepting her daughter so she seeks guidance from her boyfriend/pastor, and he will attempt to "pray the gay away" as his way of "fixing" her. Afterwards, Pastor Harris will ask God "who am I to judge?" as he is in tears. Tyrese said he had no idea that he was going to play in such a role that was "so uncomfortable but creative." "It was uncomfortable to shoot and I think it's going to be very uncomfortable for people to watch it," the 38-year old singer said. "It's going to give people empathy and a heart for a world that they probably never cared about before." Tyrese said this type of scene has never been shot, done, or put on television. He said we're witnessing for the first time ever, dark and heavy topics that go on in the inner city everyday but we don't see them on-camera until now. The creator of STAR, Lee Daniels, is ready to take shake things up a bit, take risks on prime time TV, and step it up a notch from his other hit show, Empire. He wants to be clear that STAR is not like Empire, it's far from it. "After I signed my deal with Fox, I made it a point to up it one, to throw a side curve ball with a different situation," he said. "It's not the glamour or the glitz or the Cookie we get from Empire." "I've never seen anything like this before. I'm 57 and I've seen it all - to TV and theater to cable," he said. "FOX is letting America and the world see this, kudos to them for letting them see this in our community." 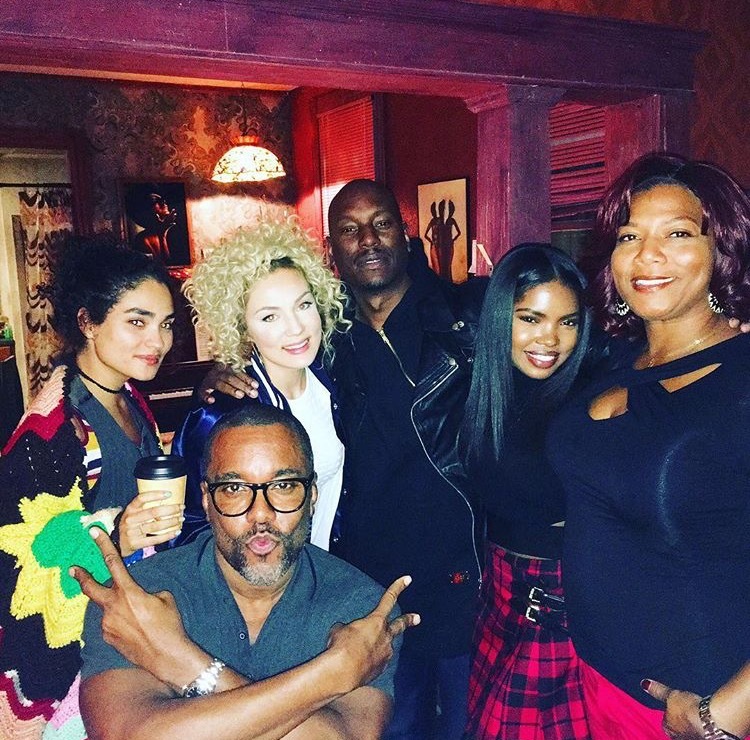 Daniels recalled crying at the monitor while watching the powerful STAR scene (which will air tonight) unfold with Tyrese, Queen Latifah and Amiyah. Daniels, who is the mastermind behind the Academy award-winning movie Precious admitted to being scared when writing scenes like this because it's personal to him and he wasn't sure if he should share it. "God gave me that gift to share. My gift is knowing that I have to be fearless and that I'm going to be criticized heavily for it." Daniels, who is openly gay, said: "Everything I do, I receive backlash for and it hurts my spirit," he said. "It hurts me for a couple days then I get up and I say 'f*ck it, keep telling your truth.'" "I think no matter what I do, it's going to be looked at as polarizing. That's the world that I tell a story in. The truth is polarizing, it's unsettling to the actors, and unsettling to me."" Daniels further explained, "When I did Precious, when I did Monster Ball, I felt some kind of way. I remember feeling the same way with Empire with the trash can scene ... like, I'm not sure if I'm ready for people to see this, ya know. I think this is that defining moment. Daniels said, African Americans don't address these issues and don't want to talk about it. "There are white people that genuinely don't like black people just because we are black. Just because I get up out of bed and I'm the skin color that I am, and we [black people] can't change that. That is not a choice that we have. And there are a lot of African Americans that don't f*ck with gays and/or transgenders because we are just that... I would equate it with that. We can't help who we are, I couldn't," Daniels explained. "It's certainly easier to live a lie. I could get up out that door every morning just to pass and make you happy, but I'm not happy. I'm not here to make you happy. I'm here to be happy myself," he said. "We all have to understand each other, otherwise we're going to get worse than what we are in right now with Trump. And yes, it can get worse." Daniels said he's grateful that Tyrese, a heterosexual male, came into his world to be a part of the telling of this story that is so controversial and so important in our culture and in our world today. STAR is Tyrese's first recurring role on a TV show. The actor, who also stars in the upcoming The Fate of the Furious movie, said it was always a dream of his to work with Lee Daniels. As uncomfortable as the scene was to shoot, Tyrese said Queen Latifah, Lee Daniels, Amiyah Scott, and himself, all ended with holding each other up. Tyrese said Daniels forces actors to go down and dig deeper inside so what they're doing is not acting but reacting the scenes and the moments that they're doing. "Good acting is not acting, good acting is re-acting," Daniels replied. Tyrese also said Daniels is known for specializing in putting cameras to capture moments that we hear about but we never see. He explained: "We hear about molestation. We've seen versions of molestation, but we've never seen it the way he [Daniels] showed it in Precious. There's all kind of mental, emotional, psychological, physical and sexual abuse happening everyday. A lot of us are in situations where we literally couldn't control it or stop it if we tried." "And, one thing that's interesting, we always see the outcome of the transgender, right? But, what happened when that man woke up and decided 'I no longer feel like I belong in this body and I want to be a woman?' When they woke up with that feeling and they started moving in the direction of the way they felt. They had family and friends, and some guys, like in Bruce Jenner's case, was married with kids. And, not only just the family but a well-known family. He woke up and decided to move in the direction of his truth, something that would make him happy, and he became a woman. Now it's Caitlyn Jenner. But the question is... how many uncomfortable conversations did they have? How many times did they say, 'you're going to embarrass us, our brand, the Kardashian's,' this and that. How many people came down on him about what he decided to do with his life? Ex champion, ex athlete, gold medalist ... how many pastors, spiritual advisers and therapists have moved in to try and stop him from doing what was in his heart that would make him happy?" This role in STAR has given Tyrese a new outlook on the lives of transgender people. He said he was just exposed to the other side of this world from shooting, reading and being involved in these scenes on STAR because he never had a heart for it. "You're not affected by cancer or cancer research until it hits home. You're not affected by HIV/AIDS until a friend has it and then you're like 'oh sh*t it's real.' It's not just something THEY are dealing with because it's not in your house," he explained. "I'm looking at my life like, man, I'm over here hugging a transgender right now. I’m the ghetto'ist hood ni**a from South Central of all time. I don't know how I got here ... Lee Daniels, you’re crazy," Tyrese said as they both laughed on the phone. "At the end of the day, I knew exactly what I was doing. I was conscious of it, the choice was made on my part to want to be apart of this scene," Tyrese said. Daniels chimed in and said Tyrese knew what he was getting into but he didn’t REALLY know how far he was going in. "I have never interacted, or directly communicated or befriended a transgender in my life," Tyrese said. "It's not the kind of circles that I travel in. I am a heterosexual male, I have a 9-year-old daughter, and although I've worked with plenty of gay and lesbians... people live the life that they live and I'm one of those people who's a huge advocate of people doing and living their lives according to what makes them happy." "If you live your life within people's opinion's, it's the beginning of the end, that's how I feel," Tyrese added. He said he has personally never hung out with a transgender until meeting Amiyah. "I don't have a problem with it and I'm not being politically correct, I'm just telling ya'll my truth," Tyrese clarified. "I'm a decent person, I'm a respectful person. As long as nobody is not trying to force their beliefs on me, then I'm cool with everybody." 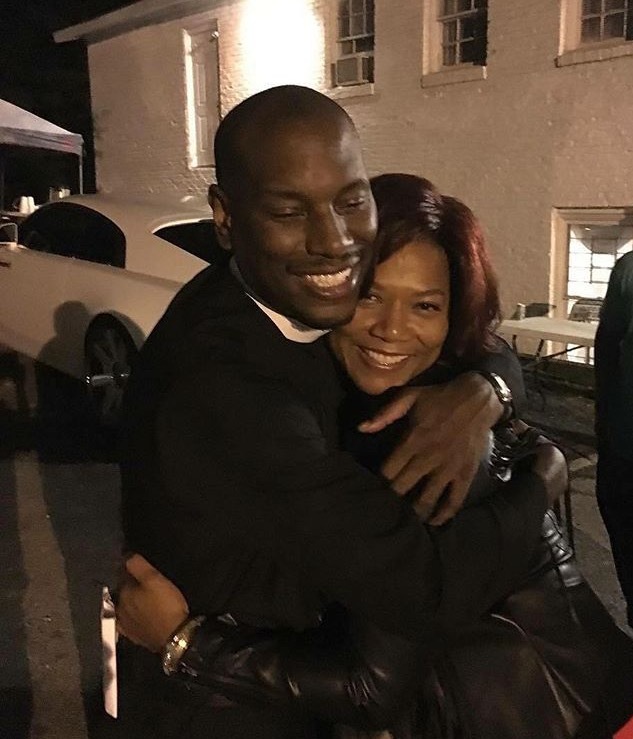 While on set, Tyrese made sure as an actor that he wasn't conducting himself in a disrespectful way. Tyrese, Queen Latifah, and Amiyah all had a bridge of understanding while shooting the scene. "We understood specifically that we were about to do something that was gonna give a new heartbeat and become a voice for the folks, who like me, didn't understand it, didn't understand the world, didn't understand the reasoning, didn't understand the culture. Because I'm not around it, I don't know anyone a part of that world." Daniels said, "I just remember feeling some kind of way bringing my partner into the church I grew up in and being some sort of famous person in the church I grow up in. Having them look at me a certain way. Having me feel bad about bringing my partner in, somebody that I love in. The look on my mother's face, the look on my sister's face... they were like, ya know... and then I realized, this is who I am. And, I'm 57, I'm not going to change. I'm proud of who I am. I've told the community who I am early on since the beginning of my career. I'm not going to feel embarrassed or ashamed of my partner or my life because I've accomplished enough. That's probably the main reason why I wanted to address this subject and Amiyah has had this done to her." Daniels said he has had straight male friends, celebrities, that have tried to heal him and lay hands on him because they believed that what he's doing and how he's living is wrong. "It's a constant struggle and we haven't addressed it," he said. "This is my way of addressing it." Daniels reflected back on that controversial Empire scene and said, "Jamal being put in the trash can gave me the courage to take it up a notch. That was a very hard scene to do. To put that kid, which was me, in the trash can on Empire. And, I felt like I had to notch it up a little bit, I gotta keep pushing that button, keep making ya'll think. This [STAR scene] was creatively harder than that." Daniels briefly talked about his upbringing and said his dad died when he was 13 years old and he was raised by his aunts. He celebrates black women everyday. He said, black women, like his aunts, have embraced him when many of the men in his family back in the '70s rejected him. Homophobia was deeper then, he said. Daniels adopted his brothers children when his brother went to jail. His mother threatened to call social services if Daniels didn't take the kids in himself. Daniels said he hasn't spoken really to his brother since he was 13, the age he came out as being gay. His brother is now 53. Back then, Daniels said he was most likely "twirling somewhere doing drugs in Palm Springs." He thought taking the kids in would save them, but they winded up saving him and got him off drugs. Out of the blue one day, Daniels recalled, his brother - who is in prison for life - sent him a letter and said, "I'm sorry for hating you, just because." His brother also wrote in the letter, "now, motherf**ker send me a picture of those stars you're hanging out with because no one believes you're my brother." Daniels life has done a complete 360. He's no longer poor and living behind the church he grew up in, as he also recalled, he no longer is on drugs, and he's no longer afraid of living in his truth. Daniels is now a successful, award-winning television producer and director. He said he prays every morning for an hour and a half to become a better man. "People don’t want you to live in your truth. Like, 'It’s hard to be black, why do you have to be gay on top of that?,'" he said. "It’s a struggle and someone has to be a voice of that. My agenda is to tell you my life and this life of mine is not mine, it’s God's, and I’m just here to pass it on." Make sure to tune into FOX on Wednesday (Feb. 15) at 9 p.m. EST for the powerful and controversial episode of #STAR.